What can be regarded as panic has been reported in the Indigenous People of Biafra (IPOB) over who the real founder and leader of the group is, The Sun reports. This follows allegations by the former president-general of Ohaneze Ndigbo, Dr. Dozie Ikedife that Nnamdi Kanu is neither the founder nor leader of IPOB as he claimed. Ikedife, in an interview stated that Kanu is only the director of Radio Biafra and adopted the acronym IPOB to operate. He added that they were the people that founded IPOB as the Supreme Council of the Indigenous People of Biafra and has been used as the Bilie Human Rights Initiative. But in a swift reaction to Ikedife claims, Emma Powerful, the media and publicity secretary of IPOB said the group under Kanu condemned Bilie Human Rights Initiative. 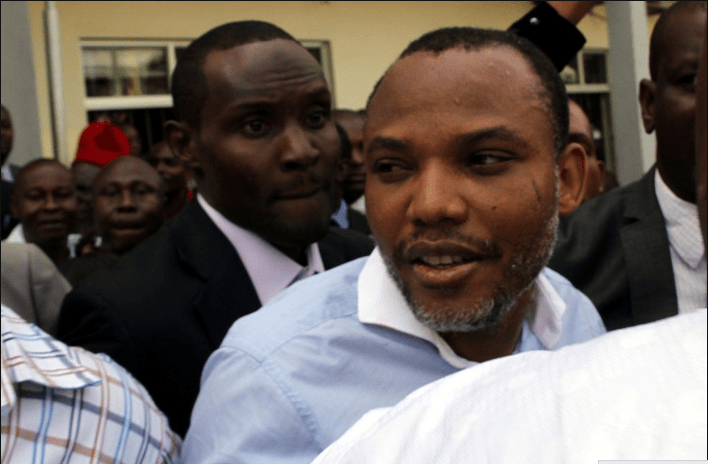 Powerful said: “The statement on the pages of newspapers that Kanu is not the leader of IPOB is not true. “Bilie, meaning Biafra Liberation in Exile, now claiming to be a human rights organisation was formed abroad as freedom fighters in exile until IPOB leader, Nnamdi Kanu appointed Dr. Dozie Ikedife and other members of the elders forum of IPOB on advisory ground. "Igbo are Jews from Israel"